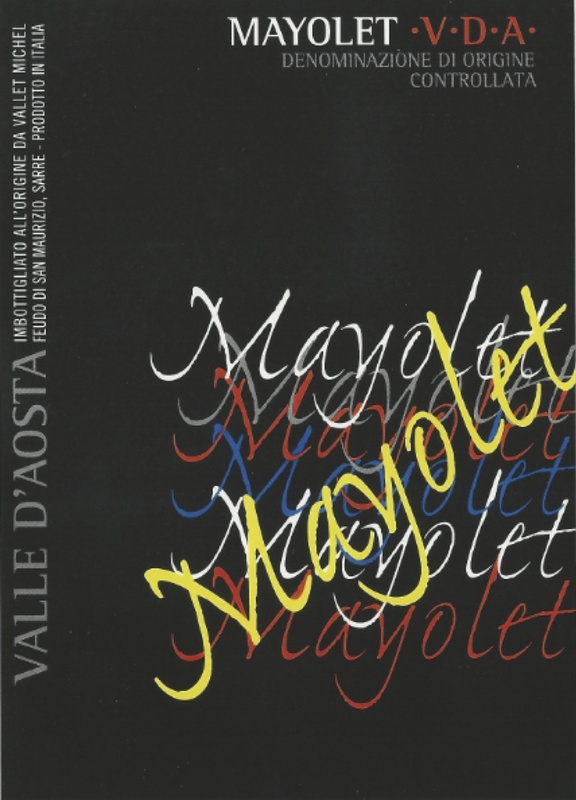 Denominazione / Appellation: Vallee d’Aoste DOC. Ettari / Hectares: 4 plots for a total of 0.5 ha. Quota / Altitude: from 700 m / 2297 ft to 1000 m / 3280 ft.
Suoli / Type of soils: Chalk and sand. Esposizione / Exposure: South-East and South-West. Età delle viti / Vine age: from 3 to 20 years old. Densità / Planting Density: 10000 vines/hectare. Data di vendemmia / Harvest date: Mid September. Metodo agricolo / Agricultural technique: Lotta integrata / Sustainable farming. Resa / Yield: 10000 kilograms/hectare. Fermentazione alcolica / Alcoholic fermentation: 7 days, 27°C. Fermentazione malolattica / Malolactic fermentation: Completed right after the alcoholic fermentation. Élevage: 3 months in stainless steel. Chiarificazione, filtrazione / Clarification, filtration: The wine is stabilized with cold for 10 days, filtered with 3 micron cardboard filters and clarified with bentonite. Zolfo / Sulphur: 80 mg/L total average. Produzione annua / Annual production: 800 cases (6x750ml).